Christy’s approach in life is pretty simple. You work on yourself and helping others everyday and everything else just falls into place. Christy’s intentions are: to be an empowering guide for people seeking to enrich their lives both financially and personally. Christy’s focus is on sharing her knowledge and teaching others how they can also have the same success. She teaches up and coming entrepreneurs how to become masters in marketing and how to use cutting edge technology to grow their business, these marketing strategies are only used effectively by 3% of the population. 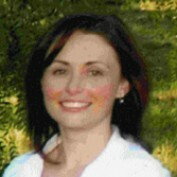 She is always keeping up to date with the lastest tends in marketing, running a business and team building. She believes the best investment is investing in yourself.